The Nissan NV brings innovation to the commercial vehicles cabin with superior engineering and design that give you, the business owner, the ultimate office on wheels. With the advent of the Internet, the world is gone mobile. So, it's cool, no, it's necessary, to have a work van that can keep up with your business' mobile needs: The Nissan NV is your answer. The Nissan NV is your billboard on wheels -- traveling around town and perpetually advertising your products and services to the customers that matter most -- the local consumers. 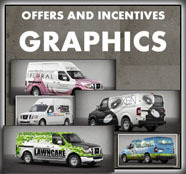 With the exclusive Nissan vehicle graphics program, you can drive right off the lot with your own customized logo. But, why just only a logo. Get flamboyant and attractive. You love your business right? Well. Show it and attract the local consumers in a way that no Ad agency, but yours can. 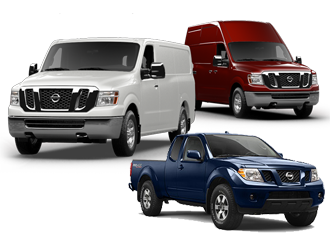 The Nissan NV commercial van is versatile, customizable and has endless options to fit your specific cargo needs. Many of the frustrations that you will experience from other vans will not be part of your NV experience. The Nissan NV implements features that business van owners have been asking for, for years now. 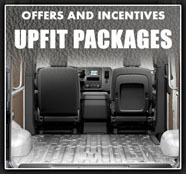 These logical features make a commercial vehicle fun and practical for YOUR business. Whether you're driving around town and going hundreds of miles away from town for meetings, pick-ups, and drop-offs, you spend most of your working day in your vehicle. With the Nissan NV as your command center, you can rest assured that this HQ runs on quality Nissan engineering and performance. There are other creative business needs that the Nissan NV can be adaptable for; for example, taking a nice and much-needed afternoon nap in a comfortable surrounding, if the need be. In such a case, the NV becomes your layover motel. Please contact us if you need help or want to learn more about this awesome van. We appreciate your business. As a business owner, we know you have a busy schedule and may not have time to call or come by our dealership right now. Simple submit a QUICK QUOTE request below and we'll prepare the numbers and contact you as soon as possible. 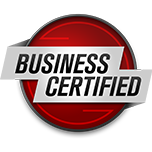 Attention Commercial Vehicles Account Manager at Round Rock Nissan Commercial Vehicles. I want the Nissan NV for my business. Please contact me as soon as possible. Thank you. I wanted to KoooDooo Share this cool website link with you. 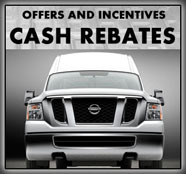 Let me know what you think: http://roundrocknissancommercialvehicles.com/everything.everyday.business.van.php.